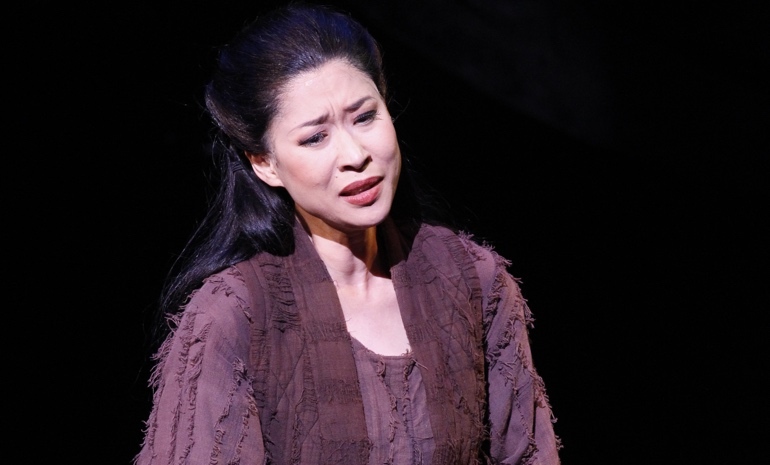 Soprano Mariana Hong (formerly known as Hyeseoung Kwon) has played the role of the slave girl Liù in Turandot many times. Tell us about the character of Liù. What appeals to you in her? Liù is a simple and gorgeous young girl who falls in love with the Prince's smile. It's his smile that gives her the strength to get through the struggles of her everyday life, and ultimately gives her the strength to sacrifice her own life for the Prince. She loves the Prince so much that she is willing to sacrifice herself for that love. I’ve been singing Liù for many years. Every time I sing the role, I tend to focus on the torture scene more than any of the other parts of the role. I channel the lives of the martyrs and imagine how they were able to sacrifice themselves for a cause or a love. Liù is similar to those martyrs. She has a strong love for someone and she has to develop strategies to cope with this love. This then feeds the roller-coaster of emotions that I display, making them appear quite authentic. What do you find challenging in this music? Liù's arias are actually quite simple. But Puccini wrote her role to have depth of character and subtext. It needs to be sung with great sensitivity to the music and drama. Singing the range of dynamics, especially the piano (soft) moments, adds to the drama and allows me to capture the style in the way Puccini would have wanted Liù to be portrayed. What is your favourite moment of the opera? I love the last scene, when she decides to sacrifice her life for Calaf. She confronts the Ice Princess, telling her that she will also fall in love with Calaf, and only then will she understand what true love is. This shows not only the extent of Liù's love for Calaf, but her bravery and strength to confront the Ice Princess. What do you love about Turandot? Why should people see it? The opera Turandot is all about love and sacrifice. We tend to forget we should live for others. I see the sacrifice my parents and grandparents made for the love they have for their children and each other. This opera reminds me of the way I would like to live. That is, willing to sacrifice a lot for those I love. The audience will see the love through this opera and how love can help you to overcome a lot. What does a show day look for you? What is your routine? I sing pretty much every day, so a show day is not much different from my normal day. But on show days, I make sure to take extra breaks during the day. This allows me to focus my energies and emotions into ensuring I give a fantastic performance.